To make the review more objective we offer you to compare tyres Tigar High Performance with any of those on which you drive. You can fill not all fields, but the more you fill, the more motorists will thank you. High Performance 0 / 0 R0 3074 руб. High Performance 165 / 60 R15 77 H 2729 руб. High Performance 165 / 65 R15 2778 руб. High Performance 165 / 65 R15 81 H 2724 руб. High Performance 175 / 55 R15 2993 руб. High Performance 175 / 55 R15 77 H 2977 руб. High Performance 175 / 65 R15 2852 руб. High Performance 175 / 65 R15 84 H 2792 руб. High Performance 185 / 55 R15 2985 руб. High Performance 185 / 55 R15 82 V 2897 руб. High Performance 185 / 60 R15 2692 руб. High Performance 185 / 60 R15 84 H 2937 руб. High Performance 185 / 60 R15 88 H 2573 руб. High Performance 185 / 60 R15 88 H +	2640 руб. High Performance 185 / 65 R15 88 H 2625 руб. High Performance 195 / 50 R15 82 H 2675 руб. High Performance 195 / 55 R15 3124 руб. High Performance 195 / 55 R15 85 H 3127 руб. High Performance 195 / 60 R15 3017 руб. High Performance 195 / 60 R15 88 H 2951 руб. High Performance 195 / 65 R15 2851 руб. High Performance 195 / 65 R15 95 H 2792 руб. High Performance 195 / 65 R15 95 H +	2890 руб. High Performance 205 / 60 R15 91 H 3273 руб. High Performance 205 / 65 R15 3167 руб. High Performance 205 / 65 R15 94 H 3175 руб. High Performance 185 / 50 R16 81 V 3337 руб. High Performance 185 / 55 R16 2967 руб. High Performance 185 / 55 R16 87 V 2932 руб. High Performance 185 / 55 R16 87 V +	3030 руб. High Performance 195 / 45 R16 3296 руб. High Performance 195 / 45 R16 84 V 3329 руб. High Performance 195 / 45 R16 84 V +	3420 руб. High Performance 195 / 50 R16 3479 руб. High Performance 195 / 50 R16 88 V 3554 руб. High Performance 195 / 50 R16 88 V +	3650 руб. High Performance 195 / 55 R16 3628 руб. High Performance 195 / 55 R16 87 V 3718 руб. High Performance 195 / 60 R16 3539 руб. High Performance 195 / 60 R16 89 V 3543 руб. High Performance 205 / 45 R16 3969 руб. High Performance 205 / 45 R16 87 W 4085 руб. High Performance 205 / 45 R16 87 W +	4140 руб. High Performance 205 / 50 R16 87 V 3934 руб. High Performance 205 / 55 R16 3182 руб. High Performance 205 / 55 R16 94 V 3221 руб. 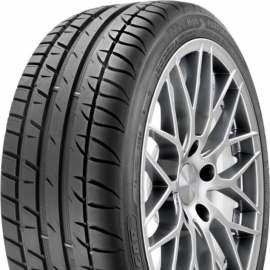 High Performance 205 / 55 R16 94 V +	3290 руб. High Performance 205 / 60 R16 3575 руб. High Performance 205 / 60 R16 96 V 3630 руб. High Performance 205 / 60 R16 96 V +	3760 руб. High Performance 215 / 45 R16 3656 руб. High Performance 215 / 45 R16 90 V 3721 руб. High Performance 215 / 45 R16 90 V +	3777 руб. High Performance 215 / 55 R16 3847 руб. High Performance 215 / 55 R16 93 V 3975 руб. High Performance 215 / 60 R16 99 V 4081 руб. High Performance 215 / 60 R16 99 V +	4110 руб. High Performance 225 / 50 R16 4256 руб. High Performance 225 / 50 R16 92 W 4343 руб. High Performance 225 / 55 R16 4200 руб. High Performance 225 / 55 R16 95 V 4368 руб. High Performance 225 / 60 R16 4434 руб. High Performance 225 / 60 R16 98 V 4690 руб. High Performance 205 / 45 R17 88 W 3800 руб. High Performance 215 / 60 R17 96 H 5000 руб. High Performance 235 / 55 R17 103 W 5285 руб. High Performance 225 / 45 R18 95 W 4450 руб. Tigar High Performance - летние шины для автомобилей среднего класса с высокой износостойкостью, низким сопротивлением качению, лёгкостью и стабильностью управления.